ROAD TOWN, Tortola, VI- Virgin Islander Kyron A. McMaster made amends for his early exit in the 2017 World Championships in London by beating a field that included the World Champion Karsten Warholm of Norway at the Diamond League Meet in Zurich, Switzerland today, August 24, 2017. 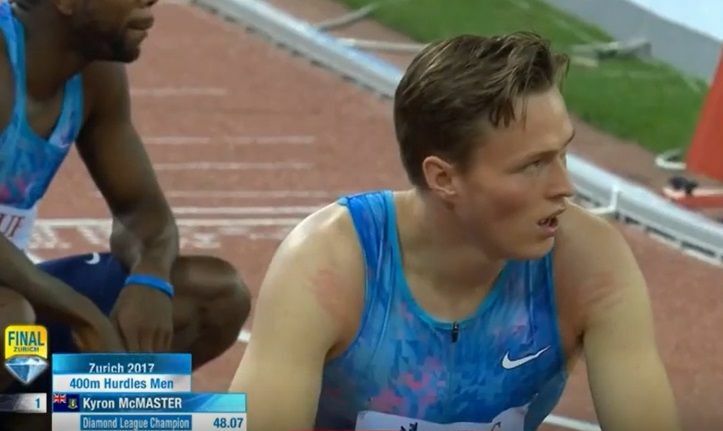 The World Leading McMaster clocked 48.07 to Warholm's 48.22 in the 400M Hurdles for his second fastest time ever. Kareim Hussein was third and Olympic Champion Kerron Clement fourth. Warholm went out hard just as he did in London for his upset victory but it was a strategy similar to McMaster's, who held off the charging Norweigan on the home straight. 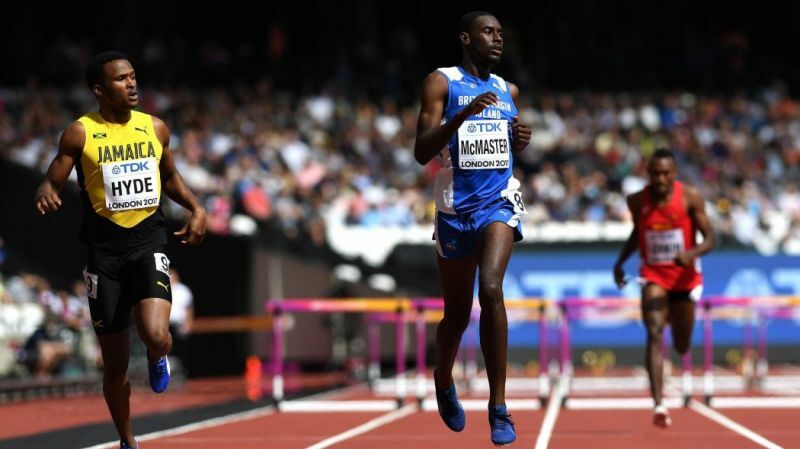 ROAD TOWN, Tortola, VI- World leading 400m hurdler Kyron A. McMaster will be making his second appearance in a Diamond League meet when the series makes a stop in Zurich, Switzerland tomorrow, August 24, 2017. It will also be an opportunity for the Virgin Islander to make amends for his early exit in the 2017 World Championships in London where he was favoured to medal but was disqualified in the heats due to a lane infringement. 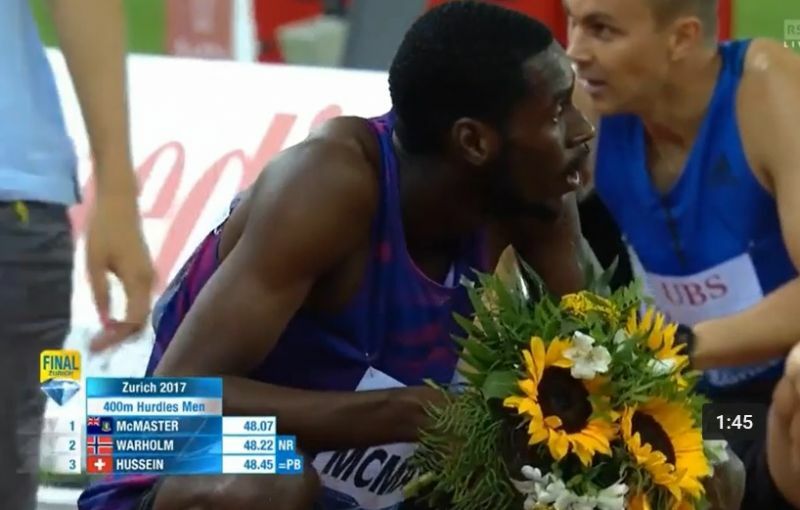 The Youth Worlds bronze medallist will be coming up against his main rivals, Kerron Clement and Bershawn Jackson of the USA and 2017 World Championships gold medallist Karsten Warholm of Norway. Warholm, 21, shocked the field at Worlds when he went out hard and held on for victory in the 400m hurdles final. 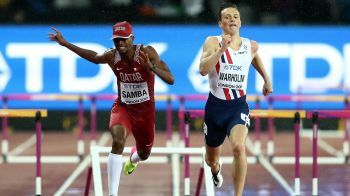 Gold medal favourite and Olympic champion Clement had to settle for bronze after being edged out of second place by Yasmani Copello of Turkey, who will also feature in tomorrow’s 400m hurdles race. 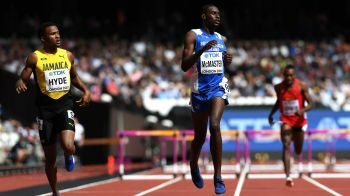 Race time is 2:49 P.M.
McMaster made his Diamond League debut at the Muller Anniversary Games at London Olympic Stadium on July 9, 2017, where he placed second in the 400m hurdles. After a strong first 200m in which he opened up a solid lead on the competition, McMaster stumbled after going over the second to last hurdle and was caught on the line by Clement. Meanwhile, the Diamond League meet in Zurich tomorrow will be two times double Olympic 5000m and 10,000m champion Mo Farah's final race on the track as he will then concentrate on road racing and the marathon. Kyron for God sake please stay in the middle of the hurdles and then all will be well. Run inside, not outside, until you have mastered the race. He did not run outside of the lane his foot touch the line.....you people need to learn how to just encourage and be positive instead of talking crap! No whoever you are..... that was the problem in Jamaica and many many people who are "TRACK" persons around the world can see clearly that he is not clearing the hurdles the correct way. Ask his coach - the truth is so hard for people to take. I am encouraging him. Just saying to stay in the middle of the hurdles and all will be well. I agree say something positive for once and just encourage the young man. he’s doing wonders by putting the BVI on the world map. Awesome! We all need to show this young man some support. #Kyron #TeamBVI! Good success to you Kyron! Tokyo here we come! !! HEY PEOPLE HE CAME IN FIRST!!!!! CONGRATULATIONS KYRON MCMASTER!!! GOOSE BUMPS!!! This is one fan who never give up on you. God bless, congrats. When you get to the Olympics, I will be right there cheering you on. Me too!!! We should all link up who plan to be there from the VI. I got a crew bout 10 ppl deep. That one is for all the haters here in the BVI, the dude is amazing, congrats big dog, ruff ruff! @the rock, 100% correct. That young man worked so hard to get where he is at. The ones who is Hating are the ones who wished it were them. Congratulations and keep doing your best and you will reap the rewards. Congrats again! Thats how you Blend them. Well done Kyron! 284 all the way to 2020! Where is our flag to wrap him up in?.He is allowed a rep on the track as a flag bearer. Didn't see that person.. He was robbed of that sweet and euphoric celebration..
was thinking the same damn thing! BIG MOVE!!!!!! Keep it rolling!